Fyne Audio secures funding to facilitate international growth | What Hi-Fi? The £850k of funding from Bibby Financial Services will help the Scottish speaker brand “focus on growth”. Scottish speaker brand Fyne Audio became one of the hi-fi industry’s biggest success stories of 2017. 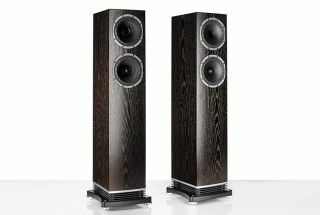 It launched at the Munich High End Show last May with several ranges of speakers, and two models (the F302 and F501) have already bagged five-star reviews. So it’s encouraging to hear the company has secured £850k funding from Bibby Financial Services to help it to grow internationally, as reported by CE Pro Europe. More specifically, the funding will provide the business with Export Invoice Discounting and a foreign exchange facility to assist it in both accessing working capital and funding export debts. Fyne Audio managing director Andrzej Sosna says: “as industry veterans, we knew our products had to be high-quality and differentiated if we were to make waves in the market. But we also knew that to help us on our path to growth, especially with a growing international customer base, having access to working capital was vital in these early stages.